Pizza: The ultimate comfort food. This month the Daring Bakers tackle pizza making. 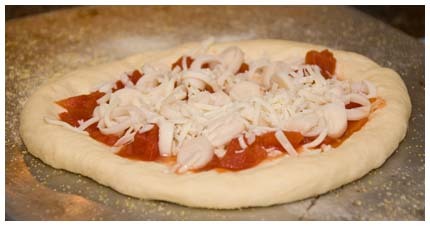 This isn’t anything new to me, one of my first posts was pizza making (I even threw the dough!). 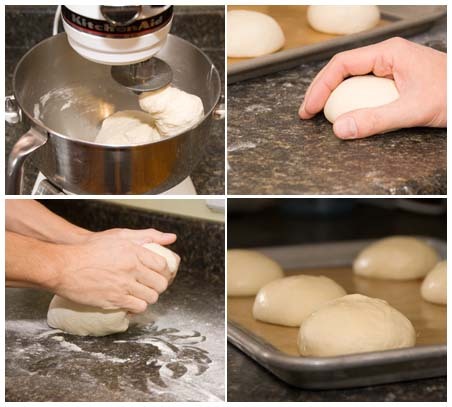 The rules are a little slack this month: use the recipe provided, get a picture of yourself throwing the dough, and top it with anything you want. Here’s my throwing proof! No crazy ingredients involved, techniques aren’t anything new, and I can use my mixer! This was too good to pass up; besides, I love pizza. The dough was easy to put together but nothing to write home about. It wasn’t my favorite, but how can you dislike pizza? At least I had fun throwing the pizza around. If you’re interested in the dough recipe, it can be found here or in The Bread Baker’s Apprentice. A very good pizza recipe. Nice photos! Agreed- even bad pizza is good. Not that this dough was bad! But I’m with you- nothing worth writing home about. yup that pizza dough was quite easy to put together. 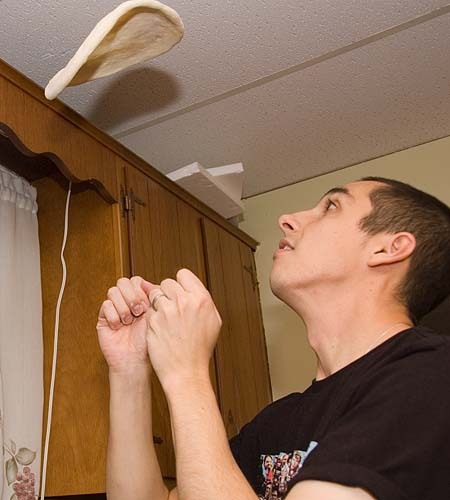 love the shot of you tossing the dough! Yummy AND fun – how’s that for a winning combination?